In 2015, Anna launched her website! Check it out at www.annahan.net. Anna performed on Show 183, recorded in July 2008, at age 12. 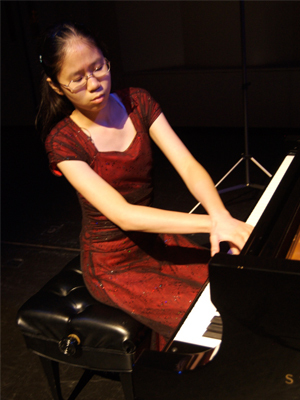 Anna Han (piano), 12, from Chandler, AZ, first became interested in music at the age of four when her parents gave her a keyboard for Christmas. She has won numerous competitions including the Southwest Division of the Music Teachers National Association’s Baldwin Junior Piano Competition and the 2007 Arizona Young Artist Piano Competition. Anna is attending the International Institute for Young Musicians this summer and enjoys reading, dance and photography.